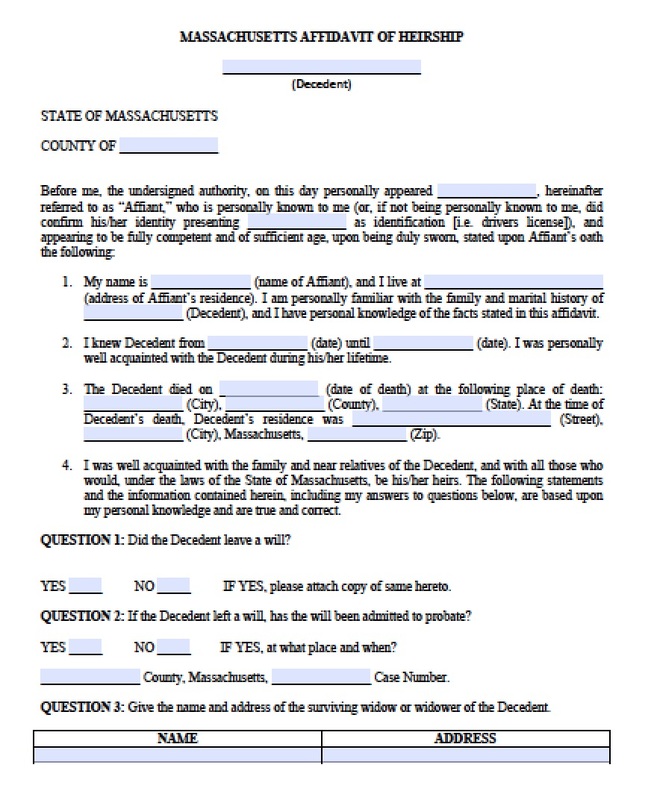 When a loved one living in Massachusetts passes away, the surviving spouse or other family members may file an affidavit to claim a motor vehicle if the decedent’s will did not specify how to transfer the property, or the decedent left no will. 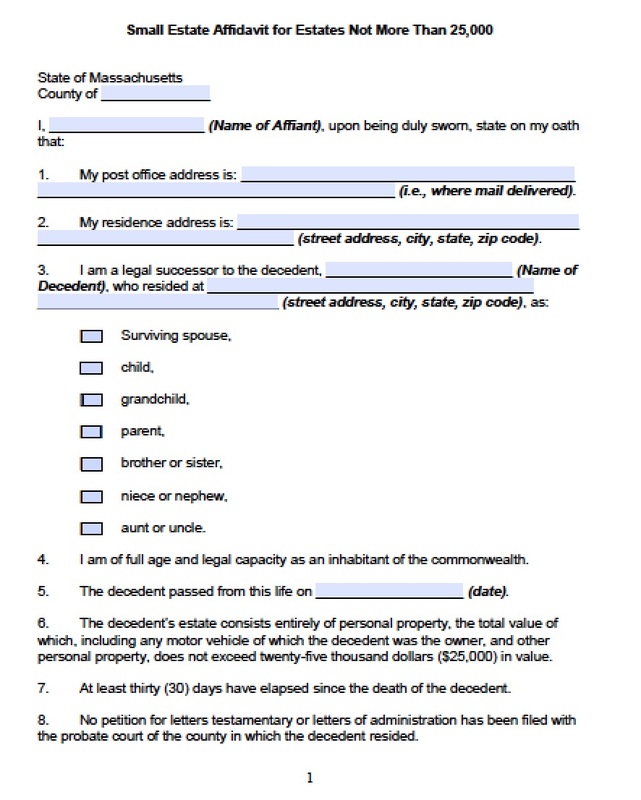 The state prefers surviving spouses – a person married to the decedent at the time of their death, not a partner living in the same home or a former spouse through divorce – to file the affidavit of surviving spouse (vehicle). 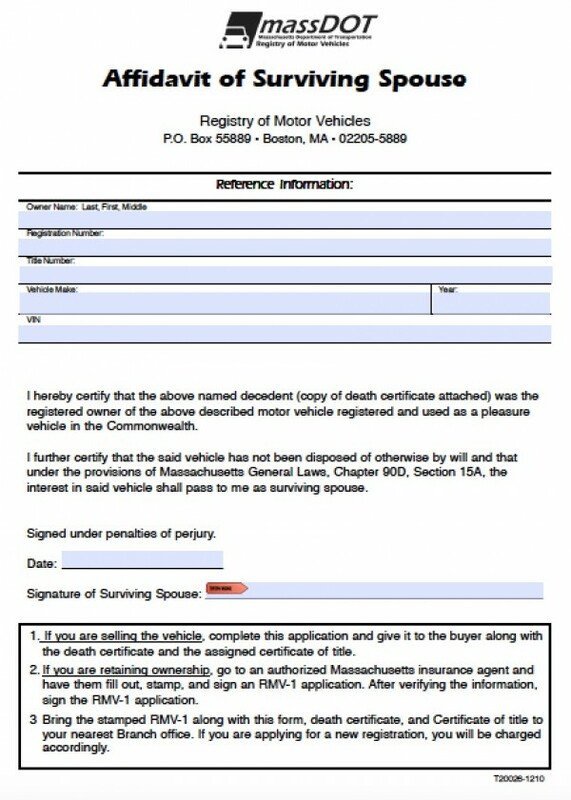 The surviving spouse must file a copy of the death certificate, along with the affidavit of surviving spouse (vehicle) to claim ownership of motor vehicles.